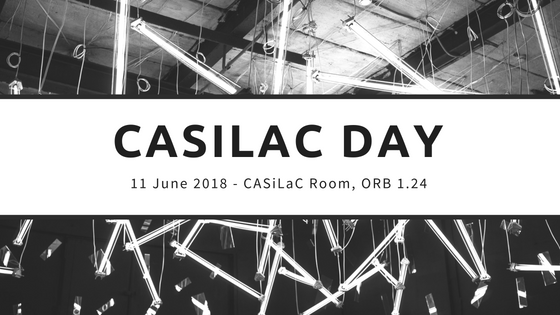 As part of the process of formally constituting the Board of CASiLaC we will be having a day dedicated to the work of the Centre. Two of our external advisory board members will be with us for the day: Prof. Charles Forsdick (Liverpool) and Prof. Jürgen Barkhoff (TCD). Below you’ll find a programme for the day’s activities. Secondly, as a way of rounding off the day we will be having a book launch for the latest monograph to come out of the School: Dr Martina Piperno’s Rebuilding post-Revolutionary Italy: Leopardi and Vico’s ‘New Science’ (Oxford: Voltaire Foundation, 2018). There will be a wine reception at the launch in the Social Area between the departments of Italian and French.